Just as we need water to keep the body’s systems healthy and vital, so too do the various practices and techniques of Yoga, replenish a deeper, lasting sense of Wellbeing within ourselves. You can listen here or read the full article below… Enjoy! At the moment, where I live, we’re going through a dry spell. Rain has been unseasonally scarce. The land and the life that relies on it is visibly struggling. After many long weeks without rain, we had a short downpour a few days ago. Just enough to refresh and revitalize. The transformation was amazing! That life-giving rain provided instant nourishment. It was beautiful to see. So too, Yoga nourishes our very Being – spiritually, emotionally, mentally and physically. Just as we need water to keep the body’s systems healthy and vital, so too do the various practices and techniques of Yoga, replenish a deeper, lasting sense of Wellbeing within ourselves. Ultimately, our Yoga practices on and off the mat should be nourishing, rather than depleting. Although this seems obvious, sometimes it’s easier said than done! If we are exploring our own Yoga practice at home, it’s important to take a moment to ‘sit’ with how we’re feeling before we step onto the mat. If we can tune into what we really need in the moment, from the Heart, we let go of what we think we should be doing, and align our practice with what will nourish us most in the moment. Right here and now. This nourishment may be in the form of a gentle Chandra Namaskar (Salute to the Moon), to awaken the flow of Prana (vital energy), or harmonising and balancing the entire being through the rhythmic fluidity of Ujayii Pranayama or calm, natural breathing… or it may be the challenge of certain Asana (Yoga Postures) that ‘push our buttons’, such as inversions, arm balances, or deep hip openers – because these too can be incredibly transforming and nourishing when explored in the right Spirit of Practice. One of the most important sources of nourishment, is the gentle but stable support and guidance of a Yoga Teacher, community (Sangha) or class environment, which will also refresh and inspire our journey into the heart of Yoga and Wellbeing. Today, without any particular or direct ‘plan’, I realise that I’m naturally gravitating towards Yogic practices and daily activities that are nourishing me on every level of my Being. And I intuitively know it’s exactly what I need right now… to balance, restore and refresh after a busy few weeks. Here is a window into my day of nourishment: A morning of quiet solitude and mindfulness; simple household tasks to help maintain a calm space for living; making a nourishing and Ayurvedic Kicharee for lunch; silence; being with Nature; some simple Pranayama – staying present with the Breath… All of these, no matter how simple, connect me back to the Source. To allow ourselves to be nourished, means we also need to be open to receiving. Whether it be from others or ourselves. As importantly, it also means being happy to give. Not out of a sense of obligation, but with a genuine and loving wish to help and serve others. The art of relaxed, unattached, agenda-less giving and receiving is a challenging but wonderful practice, and real food for the Soul. Over time, our love of Yoga and trust in ourselves gains momentum – becoming a deep and inexhaustible Spring from which we can drink and quench our thirst. This wellspring or Source of Yoga, nourishes and revitalizes us on every level. This is the essence and spirit of Yoga. What nourishes you? Are there any simple daily practices you already explore that you find ‘food for the Soul’? Is there a time in your week where you could give yourself a few hours to practice the art of Yoga as nourishment? Perhaps there can be one day a month that you can devote to your own spiritual, emotional, mental, and physical wellbeing… Learning to receive and give what is needed most. I’d love to hear your thoughts! You can get in touch with me here. I’m passionate about helping people reconnect with their essential Nature and the vibrant Source of Wellbeing, in ways that are grounding, open-hearted, fresh and alive. 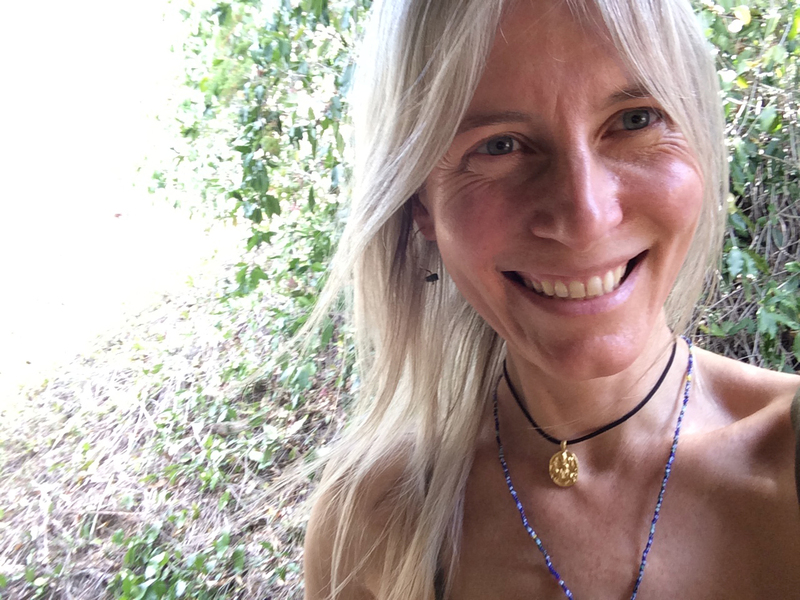 I share a wholistic approach to Yoga, and create a supportive, joyful and energising space for active seekers of wellbeing, curious beginners, and Yogis with an adventurous spirit. At its heart, Yoga offers us precious tools to live life fully – with more clarity, ease and joy… We begin to Awaken! If you’re curious to know more about Yoga Nature’s Classes, personalised One-to-one Sessions and unique Courses and offerings, you can get in touch with me here. 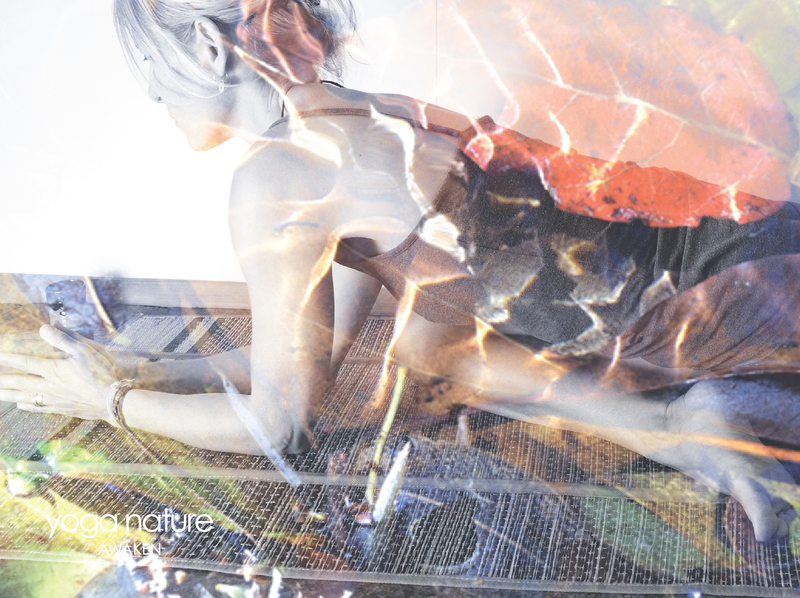 (Images: Nourishing Asana ~ Opening the hips and embodying water element. 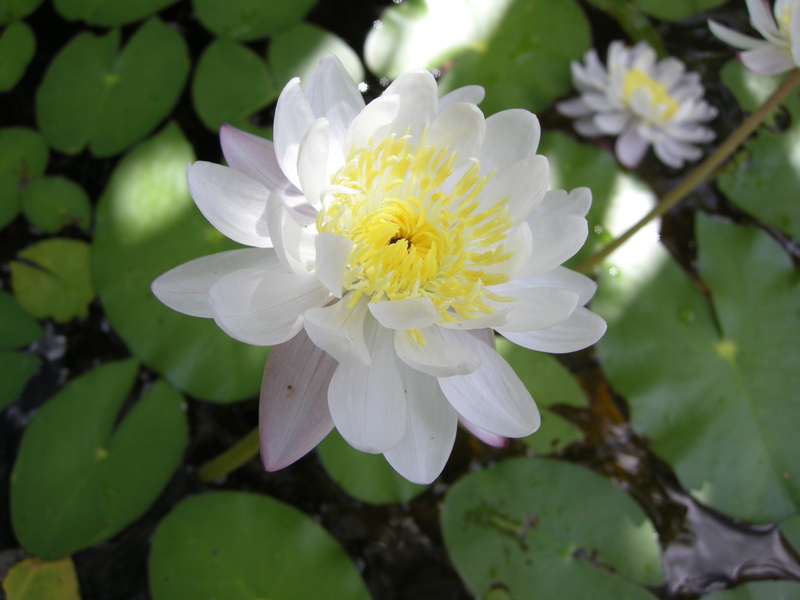 Kakadu waterlily photo by Andrew).